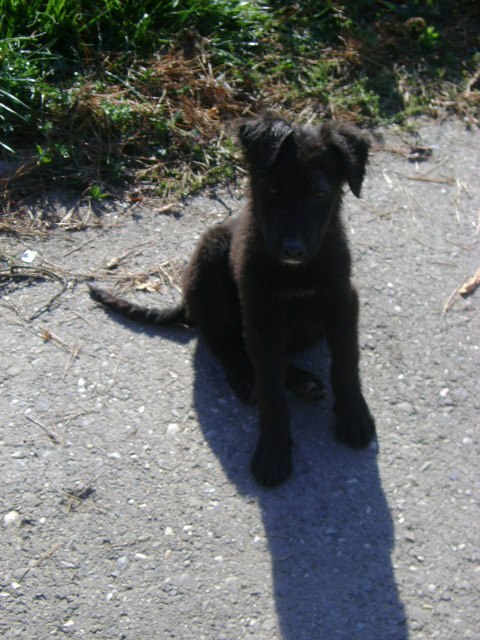 It is always lovely to write about our happy tails and today’s is about pretty little Annie, one of our rescue puppies, who is now a very happy and spoiled German citizen. 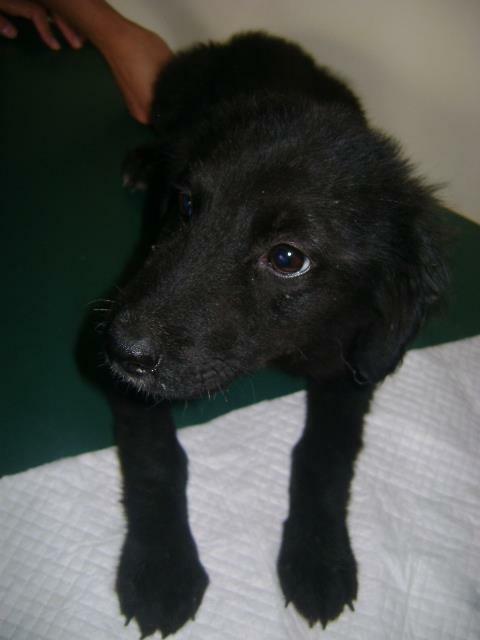 One of our members came across Annie as she lay injured outside one of the shelters when she about four months old. How she came to be there we have no idea but she was probably dumped like a piece of rubbish and left to fend for herself. The shelter agreed to take her in, despite already being full to capacity. Despite her injury she was a bright and bubbly little girl who clearly just wanted to play and be loved. How anyone could have left such an adorable little soul lying injured in the dirt is unfathomable but unfortunately this happens on a regular basis. She received the treatment she needed as well as getting all her vaccinations, de-worming and once she was fit enough, she was also neutered. 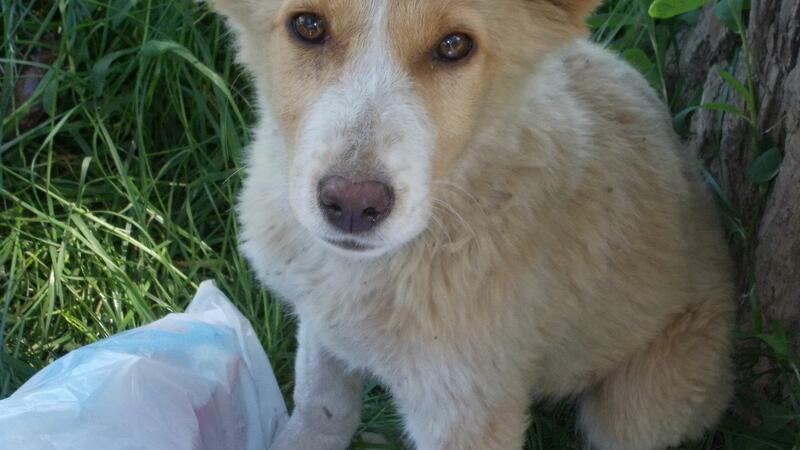 This step in itself is more than most of the strays in Romania get, but we wanted to do more for sweet little Annie. This is where some of our wonderful supporters came in. We had godmother Chris who helped with funding for Annie and then the wonderful Mehr family agreed to foster her for until we found her a good forever home. Here she really was able to blossom and from the photos she was clearly a lovely happy little girl. And then finally came the great news that Annie was going to be adopted and would have a forever home with a family in Germany. It is moments of good news like that this really make all the effort worth while – there is nothing better than hearing that one of these poor abandoned souls who have had such a tough life will finally move somewhere where they will be surrounded by love and live a happy, safe life. 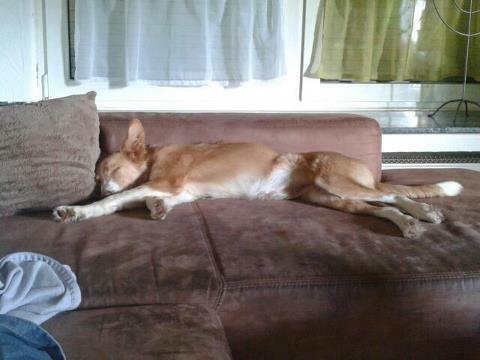 The recent photos of Annie show that she has obviously settled in very well, made herself at home and stolen the hearts of her new family! As anyone who has ever taken in a rescue animal will tell you – the love they give you is unquestioning and unwavering. All these animals want to do is to love you and have you love them back (and perhaps give them the odd cuddle of course). Annie is one of the lucky ones but we have still got so many rescued dogs waiting for their chance of a happy, safe forever home where they can love and be loved. In particular we have two rescues who were brought to us at about the same time, both with very sad stories. Mishu was brought to us with a severe head trauma, more dead than alive and in extreme pain. He had a fractured skull and for a time we did not know if he would ever recover as he lay in a coma and then when he woke had trouble standing. But Mishu was a fighter and clung on to life and pulled through and with the help of a considerable amount of medical care, and love, was soon on the path to recovery. 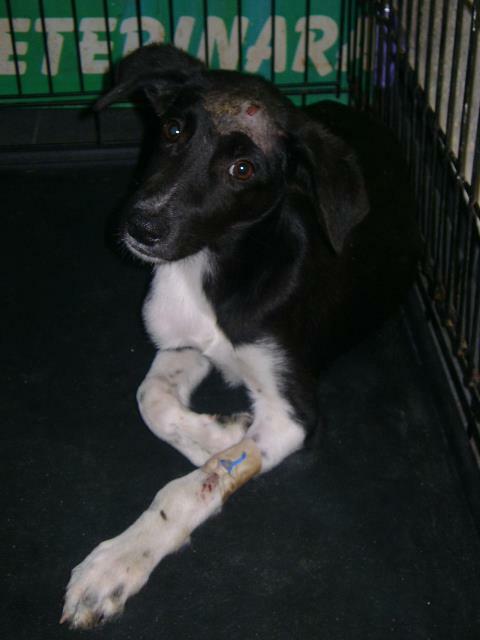 Ricky was a young little puppy, found close to where Mishu was found, with a very nasty infected wound which the vet suspects was a dog wound. The poor little chap needed surgery and then had to stay in paid foster care, with Mishu, until he had recovered. Both would have died in considerable pain, alone and cold on the street without our intervention. Now they are both fit and healthy young dogs, full of love to give but very unhappy as they are stuck in the shelter, with very little room to play and the freezing Romanian winter is rapidly approaching. We would really love to find them homes before winter as both of these young dogs have already gone through so much in their short lives we do not want to see them spending a cold winter in the shelter – they deserve to be cuddled up in a warm forever home and play under a Christmas tree inside. Can you help them? Do you know anyone who may have a place for them? Alternatively would you like to pay for their foster care so that we can move them out of the shelter into a bit more comfort? Purse strings are tight for everyone at the moment but the value a rescue dog brings to a home is invaluable and worth every penny and both these boys deserve a chance of a new life. Little Ricky is waiting for his chance of a new happy beginning in a loving home – can you help him? Ich bin echt sehr gerührt von Annies Geschichte, zumal ich ja auch einen kleinen Teil dazu beigetragen habe, dass sie jetzt in einem glücklichen Zuhause leben kann. Aber ich bin auch echt berührt von den beiden kleinen Jungs, die ebenso ein Zuhause verdient haben, ein Ort wo sie geliebt werden und wo sie glücklich sein können. Ihr beiden Fellschnuten, ich werde alle Daumen drücken und darüber wachen, dass ihr ebenso ein Glück habt wie meine süße Annie. Auch ihr habt es Euch verdient.